The Walking Dead: The Final Season Delayed at Skybound | Nerd Much? After Telltale Games’ abrupt and chaotic shut down, the fate of The Walking Dead: The Final Season looked grim. The series had just released Episode 2 of a planned four episode final season, but odds were against fans getting the conclusion they deserved. Luckily a hero arose in Skybound Entertainment. Owned by Robert Kirkman, this is the company that created the original The Walking Dead comic. Skybound planned to scoop up the rights to The Walking Dead game series and publish the remaining two episodes – with the help of former Telltale talent. Skybound gave us an update today on where things now stand, and confirmed the two final episodes are still coming. 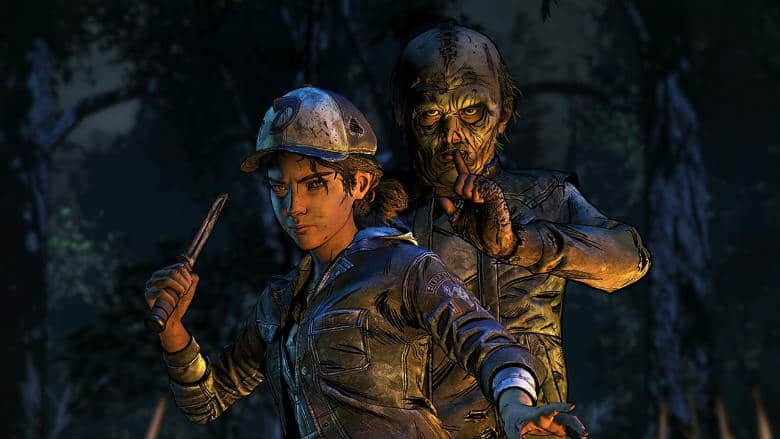 But unfortunately the remainder of The Walking Dead: The Final Season is begin delayed. Obviously that’s no longer the case, and fans can likely expect Episode 3 to drop at some point in the first couple months of 2019. But don’t be discouraged, folks. It’s a small miracle these last two episodes are coming at all. And with many of the original developers from Telltale jumping over to Skybound to complete the project, the overall quality shouldn’t miss a beat.